Sometimes I think I have lost the capacity to learn. 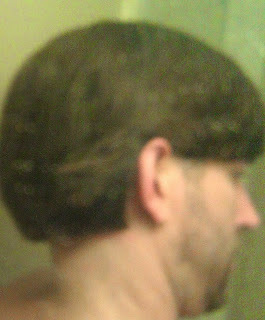 Every time I cut my hair, it ends up badly- and I did it again this week! Crap! This hair cut is unBELIEBERably bad! I cut my hair so bad one of my friends told me "Oh. I didn't realize that was your actual haircut. I thought you bought a wig so you could make a silly picture." Nope this is just my head. No wig required. Family members sent their condolences. We are still going through all the cards. There are services for my hair this Sunday. My hair looks like Molly Ringwald's hair - if she had just gotten out of bed and then cut her own hair with a ham slicer. My hair makes my head look like a lego man's head. My hair could get me arrested. 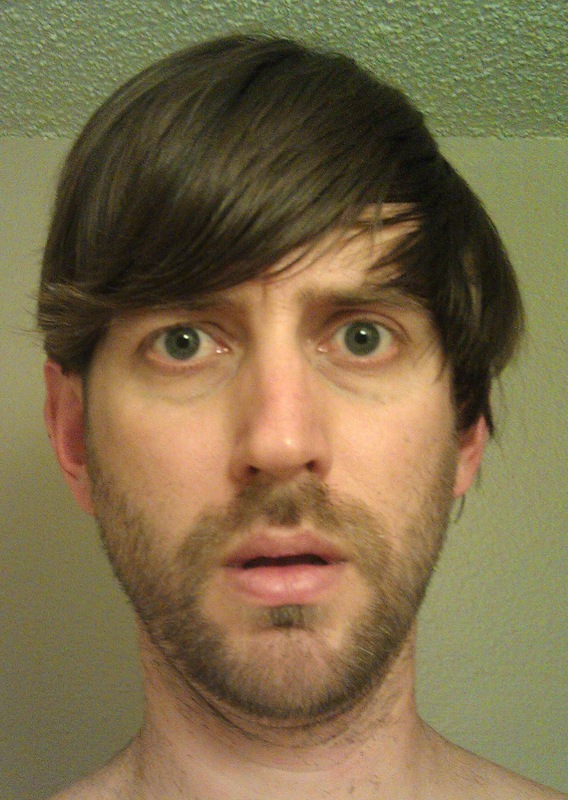 It's Justin Bieber's hair on a 35-year-old man. I don't know all the laws, but I am pretty sure 35-year-old men aren't supposed to have any part of Justin Bieber on them- for at least a couple years. 1. I am not backing down from my goals. The back of my head looks like the back of a lego head. My wife wants me to grow my hair out. Being as this seems like a goal I can actually attain, I am doing it. However, this haircut is a setback. Now, old me would have shaved my head and started over. But I am sticking with this until my hair grows out into a nice haircut again. I am enduring the Moe cut. As we learned in the story of The Tortoise and the Hare, the slow kid always win the race. So, one bright side of this haircut is I am learning to persevere, to turn into the slide. 3. My wife had a stressful day and my haircut helped. Callie has had a little bit of stress lately. When I picked her up from work the other day, my hair cut helped that. She just sat there and laughed- for about fifteen minutes. I drove us on two errands- and she was laughing the whole time. She took two pictures and sent them to her mom and all her friends. Now they're laughing. Callie is probably still laughing somewhere right now. I mean I stopped crying before she stopped laughing! The point is, my wife has seen a billion of my shows. Getting a laugh out of her on purpose is a lot harder to do these days. So, when I get an accidental rolling laugh/ applause break for something I screwed up- I take the win! 4. I have proof my wife's love for me is true. When we got hitched, we vowed our unconditional love. However, after seeing this haircut, I would have understood if she left me. She didn't though. My wife is still with me. That's true love. Plus I think her vision might be going bad. 5. It's just hair. It will grow back. EPISODE 101: GABRIEL RUTLEDGE 1: CLEAR SIGNAL IT'S TIME TO LEAVE. "Jake talks about a negative: he cut his own damn hair- again! Our Sunshiny Friend is Seattle comedian Gabriel Rutledge. Gabriel is an adult now so he knows when it's time to leave! He was so frustrated! Lastly, Jake shares A Crazy Thing You Can Do Instead Of Committing Suicide, "Bear trap to the nuts!" You can play this episode on Stitcher, iTunes, or stream it below. Enjoy!